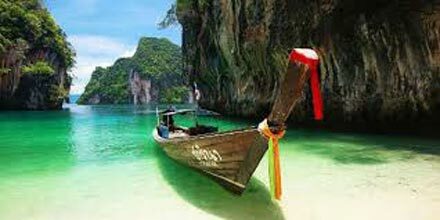 Arrival at Port Blair in the morning by flight & transfer to your Guest house. After lunch, visit the Corbin's Cove Beach - 7 kms from Port Blair - a coconut palm fringed beach and Cellular Jail - National Memorial, Light & Sound Show Built over twelve years from 1896 to 1908 and home to hundreds of freedom fighters whose names are now engraved on the walls of its watch tower, the Cellular Jail stands as a symbol of colonial oppression, cruelty and untold suffering. 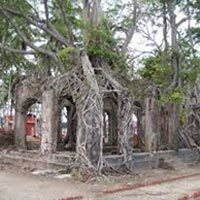 Situated in the north-east corner of Port Blair, it is a national memorial now. The prison fanned out in seven wings, stands three stories high and contained a total of 698 cells. Early morning departure to Baratang Island, Port Blair to Rangat 171 km via Baratang. Crossing the grand Andaman Trunk Road, Covered with dense forests on both the side. Crossing two Islands passages via ferry boats, comes a very exiting part of the journey. The Mangrove creek journey by boat leading to Limestone cave and Mud Volcano in Baratang Island. Move forward overnight stay Rangat. Morning From Rangat Island proceed to Mayabander Island. Reach Mayabander take a Breakfast Starts for Diglipur Island. After reach Diglipur take a Ramnagar Beach and at night stay Kalipur. Over night stay Diglipur. Breakfast Starts for Diglipur Island. After reach Diglipur take a boat 20 minutes boat ride from Aril Bay Jatty and visit Ross and Smith Island, is an ideal sport for Ross & Smith Island. Full and overnight stay Rangat. Early Morning start from Rangat to Havelock by speed boat and Radhanagar Beach, the Times Magazine the finest beach in Asia. It is an ideal place for swimming, sea bathing and basking on the sun kissed beach. Night stay at Havelock. After breakfast, we proceed to the Kalapathar Beach where you can watch the beautiful sunset. 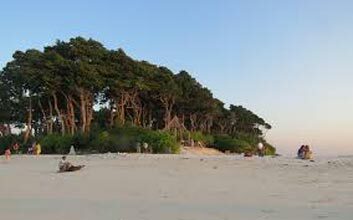 The Kalapathar Beach is situated on one corner of Havelock Island. The beach gets its name from the surrounding village, which is Kalapathar Village and the black rocks (known as Kalapathar in Hindi) that adorn the coastline here. Local market shopping over night stay in Havelock. Today, we start our journey towards Havelock Island the unique beaches located in Havelock Island; Elephant Beach is untouched by commercialism and boasts of an environment that exudes a peaceful ambience. Popular for snorkeling, Elephant Beach boasts of some of the vibrant coral reefs on the island. Situated at one remote corner of Havelock Island, one has to either take a boat or follow a steep but a short trek to reach Elephant Beach that is renowned not only for its pristine beauty but also for its serene environs. Overnight stay at Havelock. Today, we start our journey towards Neil Island from Havelock Island Harbour. After lunch, we proceed to Neil Island. Full day program Neil Island over night stay in Neil Island. After breakfast, we proceed to back towards Port Blair (via Govt. ferry) after lunch visit sunset in Chidiya Tapu Beach and Sagarika ( The Govt. Emporium of Handcraft) and local market for shopping. Overnight stay at Port Blair. 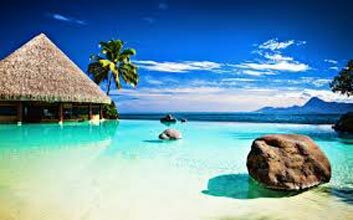 Start after breakfast for a full-day Excursion to Jolly Buoy Island or Red Skin Island (Coral Island) - to see coral reefs, exotic varieties of beautiful ornamental fishes and other marine life. The glass bottom boat ride helps one to take a closer look at the vast coral colonies. OPTIONAL ACTIVITIES AT NORTH BAY ON DIRECT PAYMENT BASIS. 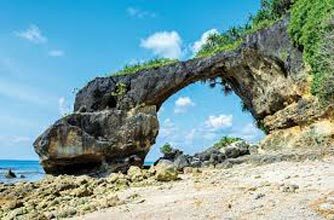 After Breakfast, we proceed for cruising to Ross Island and North Bay Island (The Coral Island).First we start with Ross Island, the earth while capital of Andaman during the British regime. Now it stands as an imposing relic, with the old structure almost in debris. From Ross Island, we move for North Bay Island (Called the Coral Island). Best destination to enjoy the view of colorful corals and underwater marine life through glass bottom boat and snorkeling. 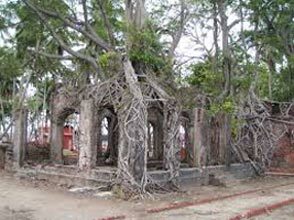 After Breakfast, we take you for the tour of Port Blair city which covers Anthropological Museum which displays the tools, art and handcraft of aboriginal tribes of Andaman & Nicobar Island, Cellular Jail (National Memorial), Chatham saw mill (the oldest and biggest mill in Asia), Forest Museum, Samundrika (Naval Marine Museum), Aquarium (Fisheries Museum), Science Centre, Andaman Water Sports Complex. After lunch a then to Sagarika ( the Govt. Emporium of Handcraft) and local market for shopping. Overnight stay at Port Blair.